The information contained herein only applies in the State of California. Additional or different forms and procedures may apply depending on the County. The local rules of the County Superior Court should be checked for applicable rules. The judgment creditor is the person who won in small claims court and is now owed a debt by the judgment debtor. The judgment debtor is the person who lost in small claims court and now owes a debt to the judgment creditor. You must HAVE a judgment! That is a court must have issued a monetary ruling in your favor. You must wait 30 days from the date of mailing on the “notice of entry of judgment” which you will receive in the mail from the court [Form SC-130]. The judgment debtor has 30 days in which to pay the judgment VOLUNTARILY or APPEAL the decision (in some cases). THE COURT WILL NOT COLLECT FOR THE JUDGMENT CREDITOR. A DEBTOR MAY NOT BE PUT IN JAIL! To enforce a judgment you need to know basic financial information regarding the judgment debtor. Does he/she have a job? Where does he/she work? Where does he/she bank? If the judgment debtor does not pay the entire judgment amount within the first 30 days, the debtor IS SUPPOSED to tell you about their property and sources of income. The debtor must complete and return a “Judgment Debtor’s Statement of Assets” (SC-133) form. In reality of course, this is rarely done. The judgment creditor may then demand that the debtor come to Court and disclose this personal financial information orally. This is called an Order for Examination. You may request the Court issue a warrant for arrest for a debtor who fails to comply with the Order for Examination. Attachment and/or Seizure of Personal Property (**These are very difficult to accomplish and will not be covered in this enforcement of Judgment Packet**). File the Writ of Execution (EJ-130) with the Court. If you wish to add interest and/or your costs after judgment, file the MC-012 (Memorandum of Costs) with the writ. Take the EJ-130 to the Civil Sheriffs Unit and advise the sheriff what enforcement action you wish to take by filling out the appropriate form with the required information. Let’s look closer at the enforcement methods for the Judgment creditor and how to fill out the necessary forms. A Writ of Execution is a court order authorizing a levying officer (which will either be a registered process server or a sheriff’s deputy) to enforce your judgment by whichever procedure you have chosen to use. The Writ of Execution is a judicial counsel form (EJ-130) that the judgment creditor completes, brings to the court clerk for signature (often referred to as “issuing”) and then takes to the levying officer. The levying officer will then enforce your judgment by whichever procedure you decide to use. How do I get a Writ of Execution? Complete form EJ-130 and turn it in to the civil clerk. The same form is used for all civil courts. The current filing fee is $25. And a Total judgment amount including a breakdown of additional costs, fees, or interests which you may also be requesting. Writs of Execution are specific to each county, so you need to know in which county your debtor’s assets are located. For example, the Mendocino County Sheriff’s Department will not serve a wage garnishment on an employer in Contra Costa County. You would need to go to the Sheriff’s Department in Contra Costa County or a registered process server. The Court can not issue two separate Writs of Execution, and each Writ lasts 180 days. Your judgment earns simple interest every year of 10%. Simple interest means that it is added to the “interest” category of your judgment and is not added to your principal amount. For example, for a $10,000 judgment, after two years, you would have $10,000 in principal and $2000 in interest. Anytime you file a Memorandum of Costs after Judgment, you may add accrued interest to your judgment, so the principal and interest are added together, and you enforce collection on the new principal amount. From that point on, your interest is calculated on that new principal amount. When filling out the MC-012, accrued interest is declared at “number 5”. 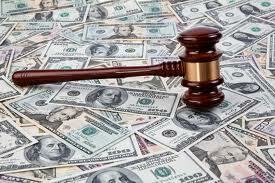 The Memorandum after costs can also be used to add certain other costs incurred in the enforcement of your judgment. For example, the Sheriff’s office charges $30.00 to enforce a wage garnishment and you may add this amount to your judgment by claiming the expense on your MC-012 at “number 1e”. *If you file the MC-012, remember to have a copy either personally delivered to the judgment debtor, or mailed to the judgment debtor at their last known address prior to filing* The second page of the MC-012 has a “Proof of Service” which should be filled out and signed by someone 18 years or older that is NOT YOU, so that the Court knows that you mailed a copy of your MC-012 with the new total judgment amount to the Judgment debtor. What do I do if I can’t find the debtor? Check with the county assessor to see if the debtor, debtor’s spouse, or the debtor’s domestic partner owns real property. Some county assessors will confirm if a debtor owns real property over the phone. Search the county clerk’s records to find if the person has a fictitious business name statement on file with an address. Check with the court to see if there are any other lawsuits filed against the debtor, the debtor’s spouse, or the debtor’s domestic partner and see if an address is listed in that file. Contact a credit reporting agency (listed under “C” in the yellow pages of your phone book) and pay a fee to get a copy of the debtor’s credit report. The fee will not be recoverable. If you use this method, the debtor probably will not be told that you’ve requested a copy of their credit report. Some credit reporting agencies may require that you provide them with the debtor’s social security number and a certified copy of your judgment; others may not require that information. How do I apply for an examination hearing? For a small claims judgment, you need form SC-134 (“Application and Order to Produce Statement of Assets and to Appear for Examination”). You only need the full name of the Judgment creditor and full name of judgment debtor in order to fill out the form. Once the form SC-134 is filled out, bring the completed form to the civil clerk window inside the courthouse. The clerk will return the forms to you with a court date. The current fee to request a hearing on the “Application and Order to Produce Statement of Assets and to Appear for Examination” is $60. Next, you need to have the judgment debtor served with the SC-134, at least 10 days in advance of the hearing. We strongly recommend that you use a registered process server or a Sheriff’s Deputy to serve your debtor. Note: The Sheriff’s Department and registered process servers both charge a nominal fee for serving your documents on the debtor. If you need to serve someone outside of the county you reside in, check with that counties Sheriff’s Department, or look in the Yellow Pages for a listing of process servers for that county. The SC-134 form is often, but does not have to be, served with a blank form SC-133 (“Judgment Debtor’s Statement of Assets”) so that the debtor may elect to provide the information you are seeking in writing. If your debtor is served properly, and he or she fails to come to the court date, the court will reschedule the hearing and send a threatening letter to the defendant, called a “bench letter.” If your debtor doesn’t come to the second court date, you can ask the court to issue a bench warrant for the debtor’s arrest. The court will ONLY issue a warrant if the debtor was originally served by a registered process server or a Sheriff’s Deputy. If you chose to have a friend serve your papers instead, you won’t be able to take advantage of the power of a bench warrant if the debtor doesn’t come to court. To apply for a debtor’s exam in a general civil case, the process is largely the same except you need to use form EJ-125. You also will need to pick a court date. Make sure you pick a court date far enough in advance to give you time to properly serve your debtor. Again, you must serve your debtor at least 10 days in advance of the hearing. Once your debtor is served, you must file (or have your server file) a completed proof of service with the court at least 3 days before the court date. The Civil proof of service form is POS-020. If you don’t file a proof of service, your examination hearing will not take place. The fee for the examination is $60. What do I do at the examination hearing? The examination is conducted by the judgment creditor (or the judgment creditor’s lawyer, if applicable). As soon as you arrive for your hearing, check in with the clerk in the courtroom. If you don’t check in, your case may be taken off calendar and you’ll then need to get a court order for a new hearing date or you will have to wait four months before you can schedule a new examination hearing. Once both parties are present, the clerk will swear everyone in. You will then have to go off to the side or another room to ask the debtor questions. This is the examination of the debtor. This process can be intimidating. Keep in mind that the Judge is available to you, so if your debtor is avoiding your questions or not being cooperative tell the clerk and ask to go in front of the Judge. You are only allowed to conduct a debtor examination every 120 days, so use it wisely. Don’t end the examination until you have thoroughly questioned the debtor and you have as much information as possible about the debtor’s assets. We have attached a list of questions to assist in this process, but you are not limited to these questions. You can also ask that the debtor bring financial papers with him or her. This way the debtor won’t be able to say he or she doesn’t know the account number, for example. To do this, ask for a subpoena duces tecum when you apply for your examination hearing. Make sure the subpoena is also served on the debtor. A subpoena is a request for a person to come to a court hearing. A subpoena duces tecum is a request for documents to be brought to a court hearing, or submitted to the court prior to the hearing. It is a good idea for you to include a subpoena duces tecum when you file and serve a debtor with an examination hearing to make sure that he or she brings financial documents to the hearing so that you can get the information you need. In small claims court – to obtain a subpoena duces tecum – complete form SC-107, bring it to the civil clerk. The clerk will then “issue” (put the court’s seal on) the subpoena. Once the subpoena has been issued, you will need to have someone 18 years or older other than you serve the debtor a copy of the issued subpoena. After the debtor is served, file a proof of service with the court. For all other civil cases – fill it out form SUBP-002 and bring it to the civil clerk to “issue” (put the court’s seal on). Once issued, you will need to have the debtor served (by a third party, 18 years or older – NOT YOU) with a copy of the issued subpoena. After the debtor is served, file a proof of service with the court. Review the questions below, and prepare, in advance, your answers to these questions. They may also help you be prepared to object to questions far beyond the scope of these sample questions as “not relevant.” For example, if by law welfare benefits are exempt from collection by enforcement of a judgment, the judgment creditor should not be allowed to ask the debtor if he or she receives welfare benefits. **This information is exemplary and general in nature and is not intended to be used as legal advice. Each particular court will rule on objections and relevancy to the best of their ability within the guidelines of the law. What’s your home telephone number? Are you married or do you have registered domestic partnership? If so, what’s the first name, maiden name, and last name of your spouse or domestic partner? Do you live in a rented apartment? A single family home? A condo? A mobile home? What’s the address? If you live in a single family home, condo, or mobile home, do you own it? If you live in a rented apartment, who pays the rent? To who is it paid? Is it paid by check? Is your rent mortgage up to date? Do you have any boarders or subtenants? If so, what are their names and how much do they pay you each month? Do you have a vacation home, recreational vehicle, or boat? Are you presently employed? If so, by whom? At what address? Where is the payroll office located? What’s your work telephone number? What’s the name of your supervisor? What’s your gross salary? What’s your net salary? What payroll deductions are made? Do you receive commissions? When are you paid? How much is owed to you now? Do you have any part-time employment? If so, please explain. Is your spouse or domestic partner employed or in business? If so, what’s his or her salary? What is the address of his or her workplace? Do you own any stock or any interest in the business where you work? If so, please explain. Do you or your spouse or domestic partner have any bank: checking or savings accounts? If so, what’s the name of the bank branch, and what are the account numbers and present balances? Do you, your spouse, or domestic partner have a driver’s license? For what state? What are the driver’s license numbers? What’s the year and make of your car? Do you own it? Is it financed? By whom? How is owed? Do you have any credit cards? Can you get a cash advance on any of those cards? What type of retirement accounts do you have? Are you able to borrow against your retirement account? Do you have life insurance? Is it a whole life policy? Do you have any property, personal effects, cash, or other assets that you’ve not yet mentioned? Please explain. Do you understand that as long as the judgment remains unpaid, it accrues interest at the rate of 10% per year? Do you also understand that as long as the judgment is unpaid, it is probably damaging to your credit rating? Do you understand that if the judgment remains unpaid, I have the right to examine you again in 120 days? A wage garnishment orders the debtor’s employer to give the Sheriff part of the debtor’s wages until the debt is paid. To garnish wages, you need to complete a “Writ of Execution” (EJ-130) form, which directs the sheriff to enforce your judgment. This form should be filed with the civil clerk. You’ll also need to complete an “Application for Earnings Withholding Order” (WG-001). You will pay a filing fee for both forms. A bank levy means that money will be taken from the judgment debtor’s bank account to pay the judgment. You’ll need the name and branch address of the bank. Get a “Writ of Execution” (EJ-130) from the clerk. There is a fee to issue a “Writ of Execution”. Bank account number, if available. If not, you may state ‘any and all accounts in the name of the debtor’. If the judgment debtor is a business with a cash register, the sheriff can go to the business and take enough money out of the register to satisfy the judgment and the sheriff’s fee. First, you must complete a “Writ of Execution” (EJ-130), have the clerk issue it, and take it to the sheriff. Instruct the sheriff to do a till tap. You must know the name and address of the business. If there is not enough money in the register to pay the judgment, you will have to pay another fee each time the sheriff goes back. If the debtor is a business, the sheriff will, for a fee, remain in the debtor’s business establishment and take all the funds that come in until the judgment is paid. The keeper can collect cash, checks, and bank credit card drafts. You will need the name and address of the business. Get a “Writ of Execution” (EJ-130), have the clerk issue it, and take it to the sheriff. Tell the sheriff you want to put a keeper in the business. If the debtor closes the business while the sheriff is there, you’ll have to pay another fee each time the sheriff goes back. By virtue of the accompanying Writ in the above-entitled suit, you are hereby instructed to: Serve and execute the Writ by: ___________________________ (ex. Bank Levy) on: ________________________________ (ex. All accounts held by the judgment debtor listed below) located at ________________________ (ex. Name and address of bank). Recording an “Abstract of Judgment” (EJ-001) puts a lien on any land, house, or other building the judgment debtor owns in the county where the “Abstract of Judgment” is recorded. To record an “Abstract of Judgment,” fill out an “Abstract of Judgment” (EJ-001) then take it to the civil clerk to have it issued by the Court. (Have the Court put its seal on it). Once the Abstract is issued, take it to the County Recorder’s Office to file. If you obtained a judgment for $750 or less in an auto accident case and the judgment is not paid within 90 days after the judgment becomes final, you may want to consider having the debtor’s driver’s license suspended for 90 days. If your judgment is for more than $750, you may, after 30 days from the date the Notice of Entry of Judgment was mailed to you, seek to have the license suspended for 6 years, or until the defendant pays the judgment. To enforce your judgment resulting from an auto accident case this way, you will need to fill out either a DL-17 form (if judgment is for less that $750) or a DL-30 (if judgment was more than $750). Both forms are available at your local Department of Motor Vehicles (DMV) office, or online at: http://dmv.ca.gov/forms. Once the form is completed you will need to take it to the civil clerk at the court where you obtained the judgment from and get the form “issued” by the court, then return the competed and issued form along with a certified copy of your judgment to the DMV. For further information, call the Department of Motor Vehicles Civil Judgment Unit at (916) 657-7573 or visit them online at: http://dmv.ca.gov. What happens after I get my money? After the judgment debtor satisfies the judgment (in full or for a lesser amount if the parties agree), the judgment creditor is required to immediately sign and submit with the Court an “Acknowledgment of Satisfaction of Judgment”. In a Small Claims Case, you can either sign and submit the “Acknowledgment of Satisfaction of Judgment” located at the bottom of your “Notice of Entry of Judgment” form, or fill out and file form SC-290 with the Court. This form is like a receipt; it’s needed to end the case. If the judgment creditor does not file the “Acknowledgment of Satisfaction of Judgment”, the judgment debtor may ask the Court for help. If proper proof of payment is provided (for example, a cash receipt signed by the judgment creditor or a canceled check or money order made out to and endorsed by the judgment creditor), the Court can enter a “Satisfaction of Judgment” at the request of the judgment debtor. Additionally, if the Acknowledgment is not filed within 14 days after the judgment debtor requests for the judgment creditor to do so, the judgment creditor may have to pay the judgment debtor damages and a penalty. Debtors are protected from certain abusive or unfair debt collection tactics. Creditors, including judgment creditors, cannot do or say certain things. For example, commercial debt collection agencies and persons who regularly collect their own debts are generally prohibited from making false or misleading statements to collect a consumer debt. It’s also unlawful to harass the debtor, to request more than basic location information about the debtor from another person, to tell the debtor’s employer or others that the debtor owes a debt (except in the course of wage garnishment proceedings), or to contact the debtor before 8:00 a.m. or after 9:00 p.m., or at any inconvenient time or place. If you have any questions or concerns regarding permissible debt collection activities, call your small claims advisor, consult an attorney, or call the Federal Trade Commission’s San Francisco office at (415) 356-5270 or the Los Angeles Regional Office at (310) 824-4300. You may file a complaint at the Federal Trade Commission website at www.ftc.gov.